A special commission for the lovely Tamara. 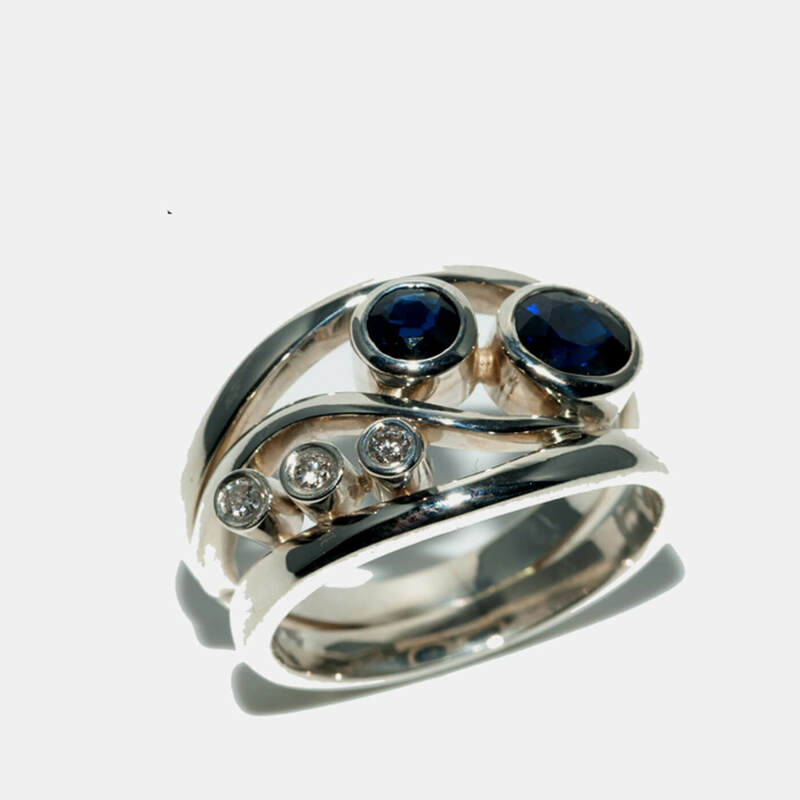 Using the stones from her grand mothers rings, we have re created something with a more contemporary feel while still including the sentiment attatched to the old rings in the form of the stones. Dreamy curves with flashes of deepest blue and diamond sparkle. Reminiscent of the sea as we say good bye to Summer.